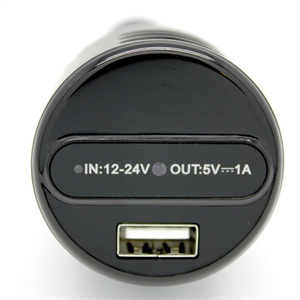 Our new Car Charger DVR is a Full HD 1080P Mini DVR that operates automatically and functions as a charger at the same time - NOW with IR. The recording starts automatically, at the same time you start your car, and by turning off the car engine it will automatically save the files on the SD Card. The camera lens is adjustable, and can be rotated, panned or tilted in the needed direction. No need to worry about batteries and recording time, as the DVR is powered from the socket, and will record as long as the engine is running!